TORONTO – SCI has launched a new healthcare-dedicated facility in Mississauga, Ontario. 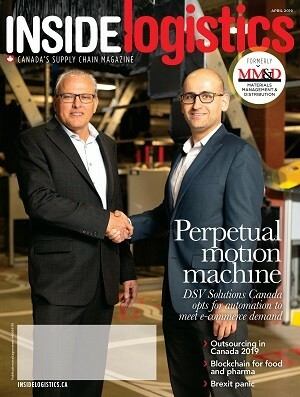 The 150,000-square-foot fully-licensed distribution centre is SCI’s latest investment in healthcare logistics aimed at helping over-the-counter (OTC) healthcare product and medical device companies manage their omni-channel supply chains within Canada. It increases SCI’s overall footprint to over four million square feet across Canada with a total of 30 distribution centres. The multi-client DC is equipped with technology for storing temperature-sensitive healthcare products such as drugs and natural health products; as well as offering a high throughput automated order-to-kit operation designed for the OTC and consumer packaged goods industries. In addition, SCI can provide distribution services, warehouse management, transportation management and late-stage customization solutions such as labeling, product kitting and configuration, and repackaging. This new distribution centre will be managed under SCI’s quality management system to help healthcare clients comply with Canadian regulatory standards and safety protocols. “This announcement demonstrates SCI’s continued investment in the integrated healthcare network. Our goal is to help manufacturers lower costs, streamline inventory, and meet increasing demands posed by e-commerce, trading partners and Health Canada,” said Peter Tostevin, vice-president healthcare, SCI.